The Revenant Warframe, coming next week was originally envisioned by concept artist Keith Thompson while designing the Eidolons for last year’s expansion. Revenant is a part of the development team’s desire to explore some of the ‘darker’ Warframes. With that in mind, Revenant is a warrior possessing Sentient-afflicted Abilities and Weapons. In addition, an exciting new challenge has swept over the Origin System, which transforms your Orbiter into a battleground. Frame Fighter arrived just last week! Challenge friends in a light fighting mini-game inspired by classic fighting games and long-time Warframe Fan LocoCrazy_! Rain down a flurry of light, medium, and heavy attacks with one of the 35 Warframes available to play, each with a special Ability unique to it. Visit Cephalon Simaris and acquire the Ludoplex — a new home for all of Warframe’s mini-games — through Standing. 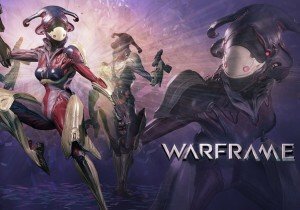 Choose from Excalibur, Volt, and Mag, each with their unique Ability. Unlock additional Frame Fighter characters by discovering Fragments throughout the game. If the scanned Warframe’s Prime is in your Inventory, you can toggle to the Prime version of the acquired character.